ASDSW and SDCS are committed to growth to match the current national governments expansion into the WaSH sector. In 2013 ASDSW and SDCS committed resources to upgrade financial and information management systems to streamline operation and increase transparency. 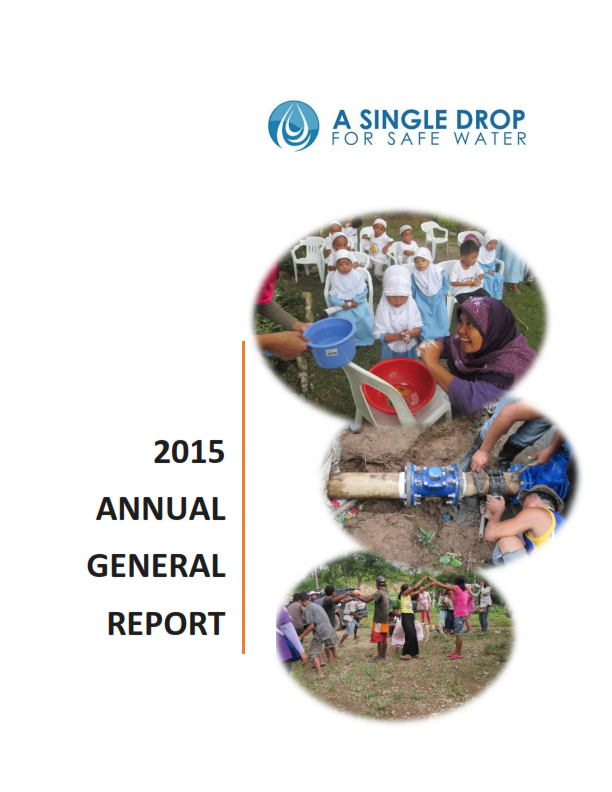 In 2014 a three -year strategic plan was made subtitled “a blueprint to sustained expansion”. To develop within children good WaSH behaviors. This is based on the Dep-ED EHCP model for hand washing, tooth brushing and deworming with extension into community based support for supplies, sanitation facilities and water supplies. Children hand washing with soap at critical times, brushing teeth regularly and participation in de-worming programs. Creation of institutional support within linking structure ie. Dep-Ed regional structures. For institutions that are not strongly linked will need local implementation ie. Tahderriyah program. Note that this may be strengthening and strategizing with other more appropriate implementing organizations. Taking responsibility for facility implementation and maintenance. To develop within schools the mechanisms to operate and maintain WaSH facilities at schools so that children can practice their good WaSH behaviors. Can also include the construction or repair WaSH facilities. Working with teachers, support mechanisms, funders and dep-ed to determine plan to improve situation. Extension of plan municipal wide and updating of plan. Note that ASDSW needs to rationalize its program within the DILG governance strategy. The outputs are similar but there are differences in names and methodology. Key is to get recognition of the program by DILG as an acceptable alternative. Inclusion of practical and strategic needs of women within the inventory results and process. To set up or strengthen mechanisms within communities to plan, implement and manage WaSH service or product delivery. Includes Operation and Maintenance training as well as strategic/business planning and management skills. Though politically separate from Barangay and Municipal/City LGU it has to recognize government role as a partner while being accountable to the community at large. Community also needs to recognize its role in respecting the service/product provider, especially in the payment of tariff’s, watershed management and illegal tapping. Noting that this is in line with the DILG WaSH Governance Framework as well as other governing bodies such as LWUA, DOLE, SEC etc. Formation of the organization through community general assembly’s with a clear TOR for participants in the trainings. Barangay and Municipal/City ordinances to support the organization as needed. To design appropriate, resilient. effective systems that can be implemented, operated and maintained by the target community. Then supervise and train the implementers for the installation, maintaining highest possible installation standards while creating a group of responsible and skilled personal that can operate and maintain the system. Design validated on site and including provisions for mitigation of locally recognized hazards. On site supervision guided by the supervision manual while working with the local community to ensure that as much responsibility is taken by the community. 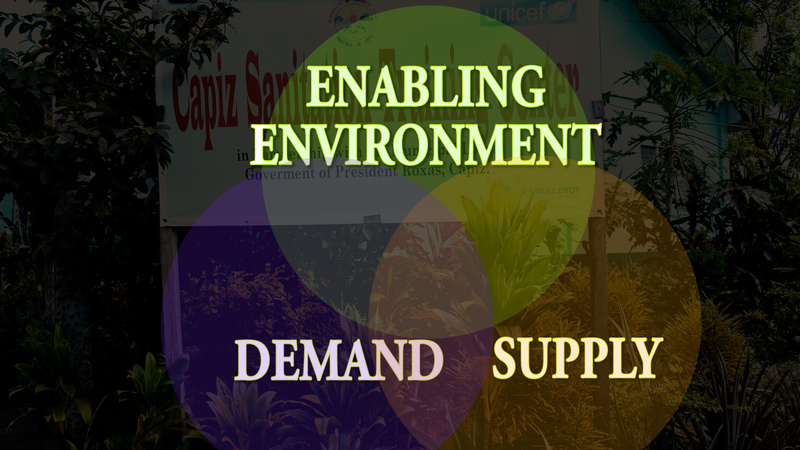 Directly build capacity of Small Service and Product Providers, LGU’s, International and Local NGO’s and other organizations by request. These would be on-site practical workshop exercises. Always includes documentation of the training and a referral system so that participants can get coaching or mentoring help. Where possible working with organizations to leverage training into actual implementation. To institutionalize Water Quality Monitoring at all levels from the SSP/barangay level up to regional or national level. 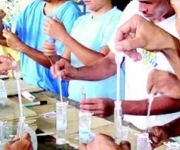 WQM is not just water testing but the dissemination of understandable results to those primarily affected and responsible along with corrective actions. Institutionalization is about WQM being part of the way of working so that those responsible can manage their water quality. Noting that the PML needs to be recognized by DOH as a prescreening alternative. Work needs to continue with the National Reference Laboratory and reagent suppliers as well as the WaSH cluster to make this happen. Also can be integrated into DOH initiatives, such as Water Safety Planning and the Sanitation Codes mandated community based water quality monitoring committee or other existing WaSH governance structures. Noting that there may be a wide range of capacities within the training group from doctors to those with limited elementary school education. Baseline data and mapping is crucial for Water Safety Planning and outbreak management. After the trainings, teams to go into the field with participants for coaching, mentoring and to monitor the progress of agreed plans. To eliminate Open Field Defecation in target areas, by changing behavior and prioritizing sanitation at a community level while building up an appropriate supply system with supportive/proactive government. Noting that DOH is promoting CLTS but hampered by the past system of toilet bowl handouts. Sanitation governed by Sanitation Code which is inappropriate in many situations. 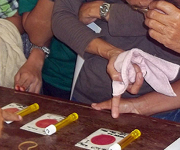 Sanitary inspectors are the focal people in LGU’s reporting to MHO, however have very limited power and resources. Avenue for representing the practical needs of women in sanitation and provides legitimacy for women advocating for better sanitation. Note that this program has been piloted, not very successfully but will be redone with lessons learned. To provide strategic lifesaving response assistance during the initial period of response, work with government and WaSH service providers and NGO’s to lead cluster and coordination efforts to meet the largest public health risks. Advocacy with government and other agencies to meet the most critical needs. Coordination with government and partners. To build up the capacity of government to manage WaSH in Emergencies using the WaSH cluster as the main mechanism for management. Creation of a core group that can organize the WaSH cluster and effectively manage the cluster in the initial period. Expansion of the core group to manage larger or multiple emergencies. Fine Tuning of Municipal WaSH Focal Point training and roll out of consolidation process in Leyte. Work with WaSH cluster and UNICEF on procedure for rolling out WaSH Clusters, Regional, Provincial and Municipal/City. I am public teacher in the Philippines handling the WASH Program in our school…We are starting to institutionalize the this program for we believe of its essence. Is there any possibilities that your organization could help us in making this elusive dream to happen? Looking forward for a positive feedback. This is to inform you that we received your comment. Regarding your concern Ma’am kindly email the details to our Executive Director, Mr. Kevin R. Lee @ klee@singledrop.org to see how we can help you. Francisco Austria Memorial ES, Maruyogon, Puerto Princesa City would like to extend our heartfelt gratitude for the help extended in providing water source for our school. Rest assured that we shall be in partner with you to realize the missions you are trying to extend especially to those who are lack of resources. May God continuously bless you as in your endeavor.